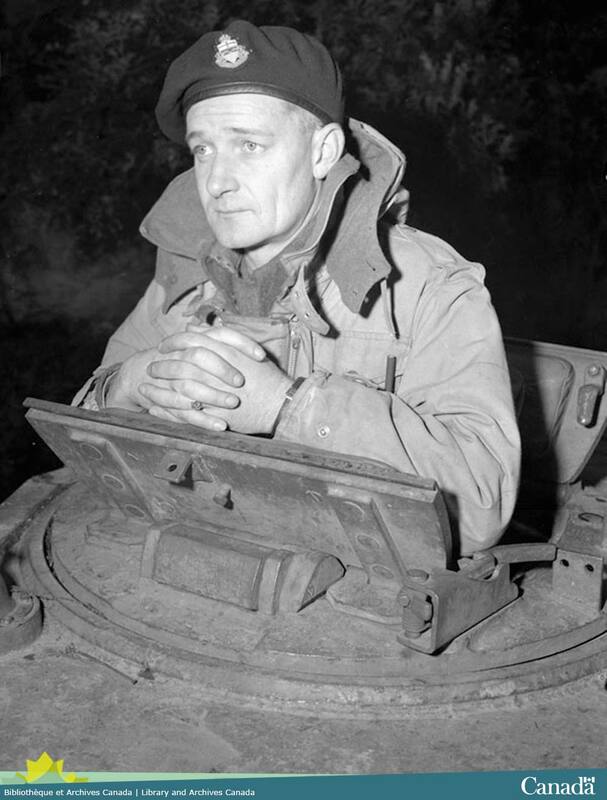 Seventy years ago, on August 18, 1944, Major David Vivian Currie led 200 men and a dozen M4 Sherman tanks into the town of St. Lambert-sur-Dives, France in order to block the escape route of the German 7th Army out of the Falaise Pocket. Though hugely outnumbered by a detachment of the German 2nd Panzer Division, the actions that Currie and his men took effectively sealed off the only escape route for the Germans. For his efforts, Currie earned the Victoria Cross, the highest military gallantry decoration in the British Commonwealth. 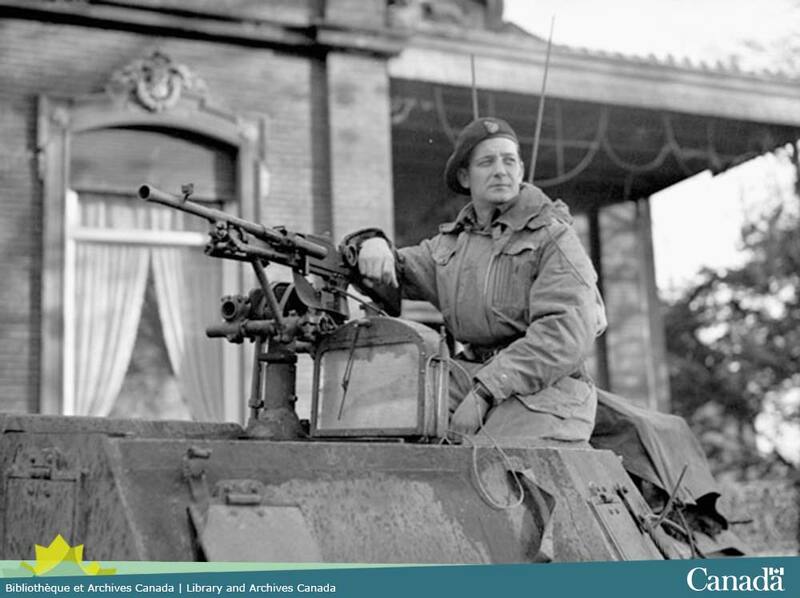 Major Currie was born in Sutherland, Saskatchewan in 1912 and trained as an auto mechanic and welder. A major in the 29th Armoured Reconnaissance Regiment (South Alberta Regiment) in 1944, Currie had only ten days of combat experience when he was tasked with capturing, cutting off, and holding the road through St. Lambert. Currie was leading “C” Squadron, a small force of tanks and anti-tank guns, together with two infantry companies of the Argyll and Southerland Highlanders, with no artillery support and little reconnaissance. 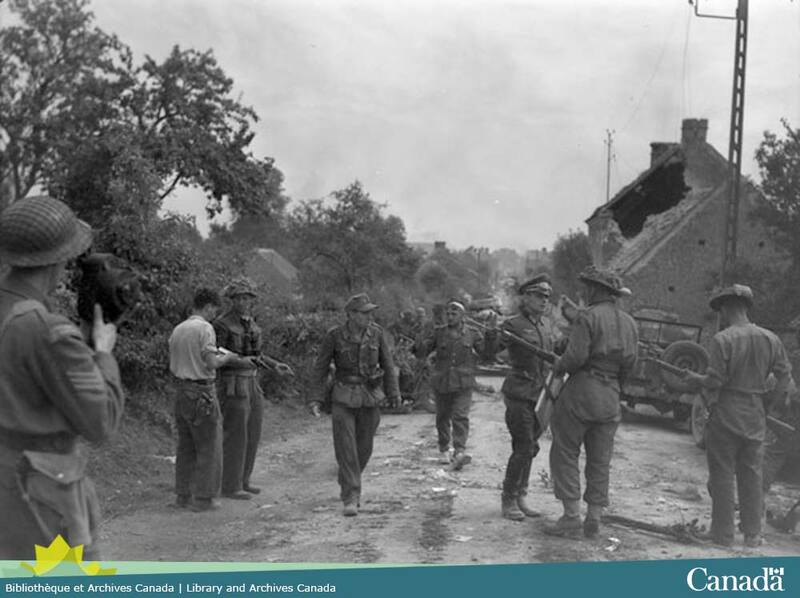 When his first attack was repulsed, Currie snuck into the village on foot, surveyed the German defences, and rescued the crews of two disabled Canadian tanks. The following day, he had seized and consolidated a position half-way inside the village. Over the next 36 hours, Currie so skillfully organised his defences in the face of near-constant counterattack that he not only held the unit’s position but inflicted disproportionately heavy casualties on the German forces. This entry was posted in Military Heritage and tagged Military, Second World War, Victoria Cross by Library and Archives Canada Blog. Bookmark the permalink.